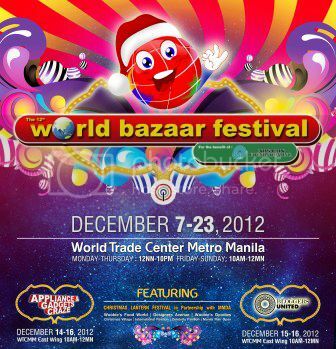 Welcome the holidays with style as Worldbex Services International, in partnership with ABS-CBN, brings you the highly anticipated yuletide event of the year, the 12th World Bazaar Festival! Stop by the World Trade Center – Metro Manila from December 7 to 23 to witness the Metro’s biggest and longest Christmas charity bazaar. Shoppers will get the rare opportunity of interacting with their favorite bloggers in one venue. So spread the spirit of merriment and sharing, as you give back to your loved ones and the ABS-CBN Foundation, Inc. Doors open from Mon to Thurs – 12nn to 10pm and Fri to Sun 10am to 12mn. From December 15 to 16, expect fashion royalties from the blogosphere with the likes of Divine Lee, Camille Co, Laureen Uy, Kryz Uy, and Lissa Kahayon to showcase a glimpse of their closets through their own booths. 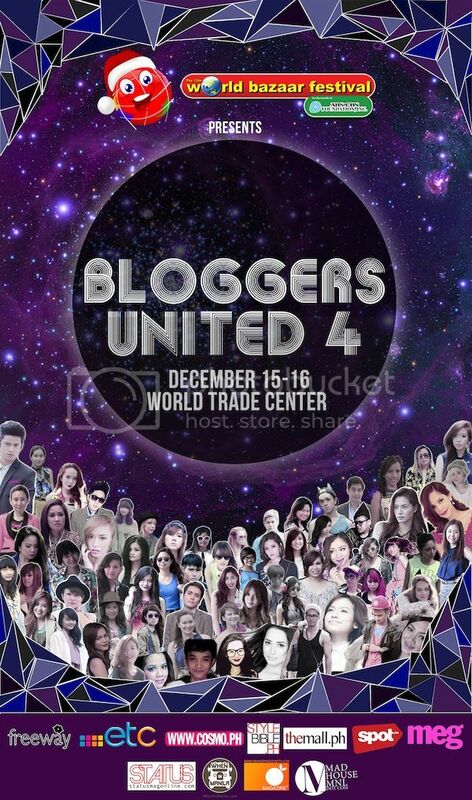 With over sixty participating bloggers, Bloggers United 4 is definitely a fashion event that shouldn’t be missed. Only the 12th World Bazaar could make it possible for you to get close and intimate with these modish bloggers, so save the dates and prepare for the catwalk!